Fife’s InchDairnie Distillery is set to launch its first expression – a rye whisky that marks the return of the grain in Scotch production for the first time in over 100 years. Ryelaw brings together elements of Scotch and American rye whisky by distilling a mash made with a high proportion of malted rye, the key component in American rye whiskey, as well as malted barley, the key ingredient in Scotch whisky. The whisky will be distilled at the new distillery in Fife for the first time today (1 December) before being filled into new American oak casks for maturation until it is ready for bottling. Ryelaw will be the first release from the distillery in Glenrothes and marks what is believed to be the return of the use of rye in Scotch whisky for the first time in over 100 years. Ryelaw is inspired by a discovery made by InchDairnie’s managing director Ian Palmer, who unearthed evidence of the common use of rye grains to make Scotch whisky in the 1908/9 Royal Commission Report on Whisky. While it can be described in general terms as a ‘rye whisky’, Ryelaw will officially be categorised as a single grain Scotch whisky, in line with The Scotch Whisky Regulations 2009, which define the five categories of Scotch whisky as: single malt Scotch whisky, single grain Scotch whisky, blended malt Scotch whisky, blended grain Scotch whisky and blended Scotch whisky. When it is released, Ryelaw will become part of the core range being created at the distillery, which will include the InchDairnie Single Malt Scotch whisky, which is expected to be released in 2029. 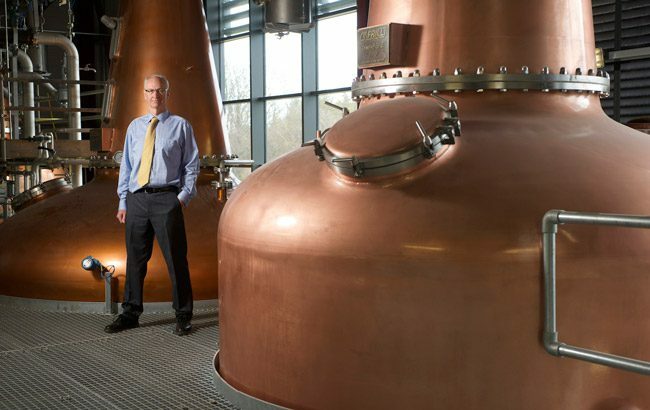 The Fife-based InchDairnie distillery opened in May this year and will focus on whisky technology and innovation.